Buck is living the good life in the soft South, when he is snatched and transported to the savagery of the Northland. There, the Klondike gold rush has brought out rough basic instincts of survival in men - and dogs. He adjusts to the gruelling regime of a sled dog, which almost kills him, but he survives to find a new and fulfilling way of life. 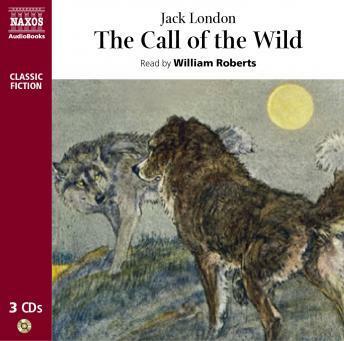 The Call of the Wild is not only a classic tale, but also an enduring masterpiece of the inescapable laws of nature. Now in unabridged form in a new reading by William Roberts.